At a time when San Clemente was truly a “Mayberry” like place with cattle-filled rolling hills, more vacant lots than homes and townsfolk who once knew everybody’s name, San Clementean Marla Lund and her family came to town. The Lunds celebrate 50 years of marriage In further recalling those simpler days of the1960s, Marla expresses thankfulness in having come to San Clemente at a time when the town’s children were free to wander the village with little fear of harm. She attributes that ability to the fact that most families in those years consisted of stay-at-home moms, making it possible for neighbors to be around daily to look out for one another. And in reminiscing about the leisurely time available for neighborhood morning coffees and a local camaraderie that is being diminished by today’s busy schedules and hurried times, the loss she still feels for those days is apparent in her voice. This nostalgia for a simpler life is understandable when Lund’s roots and life’s journey are revealed. After her birth in a small, sparsely populated town in Minnesota, a job opportunity eventually moved Marla’s family to another rural area, Fargo, ND, where she grew up and lived until she returned to the state of her birth to attend college. And when speaking of those growing up years in Fargo she relates the fun she’s had because she was raised there. Having always had a heart for children, Lund eventually returned to Minnesota to attend Concordia College in Morehead in pursuit of a teaching degree. To that end, Marla became the first woman to graduate Concordia College with a Physical Education Degree, and after graduation she soon experienced another first when she was hired as Concordia’s first women’s physical education teacher. The doors were just opening for women in that arena and Lund was in the right place at the right time. While attending Concordia, Marla met and married her husband of 50 years, Don. He was studying for a business degree, and eventually went to work in commercial sales in the food service industry. And after their marriage, it wasn’t long before that job moved the family to Houston, TX, where Marla obtained a job at the University of Houston teaching in the P.E. Department - with the added opportunity to begin studying for her Master’s Degree. After several years spent living and working in Texas, Don Lund’s business finally moved the family to San Clemente where they have lived for the past 40 years. In the early part of those years Marla was content to be a stay-at-home mom, but when her youngest child entered school, she decided to fulfill her longing to return to teaching. Marla in hte right place, right time. Once more fate seemed to be on Lund’s side, for the former PE teacher, was vacating that job to become a Counselor, and as had happened so many times before, Marla Lund was in the right place at the right time. 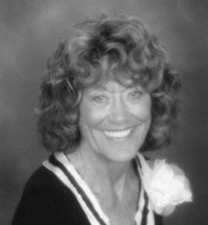 From 1969 to 1985, when she left SCHS to help her husband start a family business, Marla taught and coached in the girl’s P.E. Department. In that capacity she had opportunity to experience another first. As Lund tells it, girl’s sports in California during that time were just being recognized by the CIF (California Interscholastic Federation). Being an avid tennis player, Marla was selected to put together a girl’s tennis team. That team made it to the CIF finals, winning the championship in an exciting match against Claremont High School, bringing home the first CIF girl’s sports championship banner to ever grace the gym at SCHS. Upon retiring from teaching in 1985, it wasn’t long before Marla began looking for even more challenges. Missing teaching, she substituted for a time in the Capistrano Unified School District instructing physically and mentally challenged children. On the advice of a friend, Lund, one to always have a full plate, attended a meeting of the Toastmaster’s Club. She joined and has remained a member for the past 11 years. She relishes the experience, saying it has been a place to develop communication skills and confidence, and to experience personal growth while making new friends and hearing other people’s interesting life stories. As a member of this group she has just completed the High Performance Leadership Program, becoming a Distinguished Toastmaster, the highest award attainable from Toastmaster’s International. 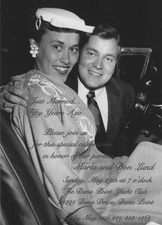 Don & Marla Lund As to be expected Lund’s community involvement hasn’t stopped there. She has been a member of the San Clemente Women’s Guild for the past several years, serving as its president for two. This year she took on the daunting task of Chairman of the 10th Annual Wellness Conference held at the El Niguel County Club in Laguna Niguel, an event drawing hundreds that she co-chaired in 2004. Participating in this organization, she has been involved in providing scholarships for nursing students and in fundraising for San Clemente’s RIO Center, the Camp Pendleton Clothing the School Children Project, the Mobile Medical Unit and the Mentor Program at the Boys and Girl’s Club. Last year she and fellow club members responded to a request by Jan Sener, San Clemente’s Crime Prevention Specialist, for funds and help with the SCANN (San Clemente Assessment of Neighborhood Needs) program. And Marla also spends one day monthly as Docent at the Casa Romantica, sharing with visitors Ole Hanson’s vision to make San Clemente a Spanish Village by the Sea. When speaking of the future, Marla anticipates more of the same things that presently occupy her semi-retirement years, family, friends and continued involvement in her church, Christ Lutheran, and in the community. In spite of all the things Lund has accomplished and even hopes to accomplish, she makes it perfectly clear that her family is and remains one of her biggest priorities. In that respect good things appear to come in fives … five decades married, five children and five grandchildren. Daughter, Carrie, and daughter-in-law, Terri, are following in her footsteps as stay-at home moms. As for the other siblings: Caryn works as an Interior Designer; Mary Jo (#1 on SCH’s tennis team when Marla was coaching) lives and works in retail in San Diego; John is a drywall contractor; and Scott and his partner Greg Iorio are working together in the food service industry. To Marla’s delight, all are still living and working nearby.